Application & Uses: applied in concrete applications, tiles, pavement, brick, stucco, plaster, paints, coatings, tints, rubber, and ceramics. Our Iron Oxides are available in Regular Grades, EZ grades, Micronized grades, Heat Stable, Easy Dispersable, and fine milled. Application & Uses: applied in many coating systems including solvent system, water solvable system, powder coating, UV solidifying, plastic containers, various printing systems, in cosmetic areas, the textile, the artistic pigment and rubber as well. Please Click on Pictures to view Additional Information. 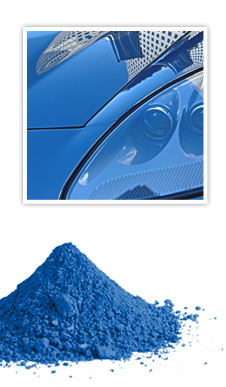 Fluorescent Pigments by Aron Universal, Ltd. Application & Uses: for aqueous based applications, high thermal stability & solvent resistance are required, polyester based pigments for plastic coloring, Thermoplastic polyamide pigments with improved light fastness & thermal stability, for polymer coloring, 90% ready to convert fluorescent ink bases, especially designed for manufacturing of offset, litho & letter press printing inks, A press ready fluorescent inks for offset, litho & letter head printing, Useful for making solvent inks for various applications, UV reflective — security inks and pigments.